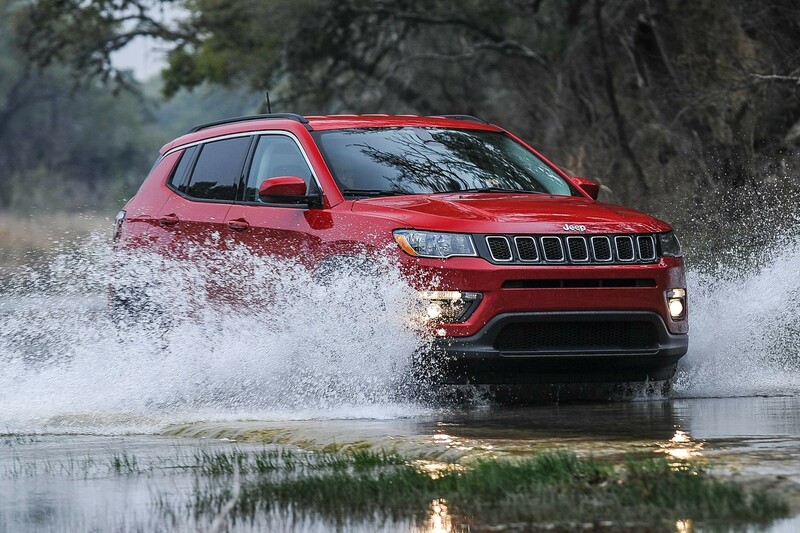 The available Selec-Terrain® Traction Management System provides 5 on- and off-road modes: Auto, Snow, Sand, Mud, and exclusive to Trailhawk®, Rock. 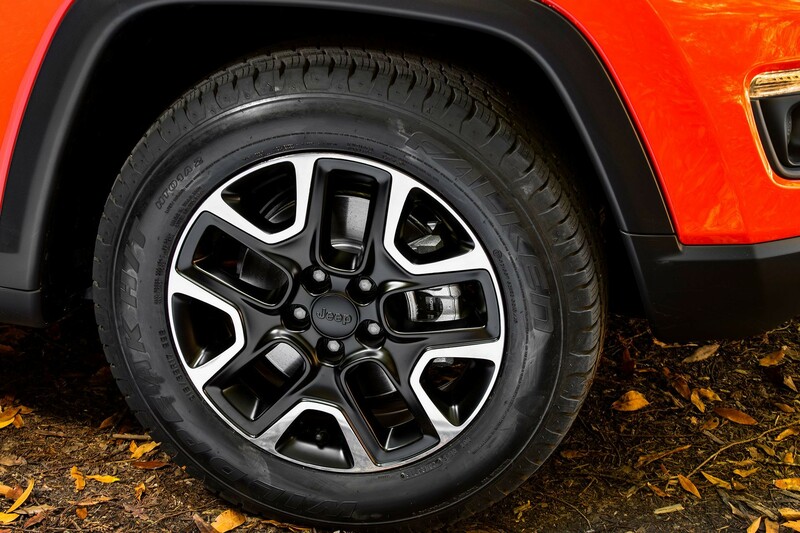 The 2018 Compass keeps things rolling with 8 standard and available wheel designs. 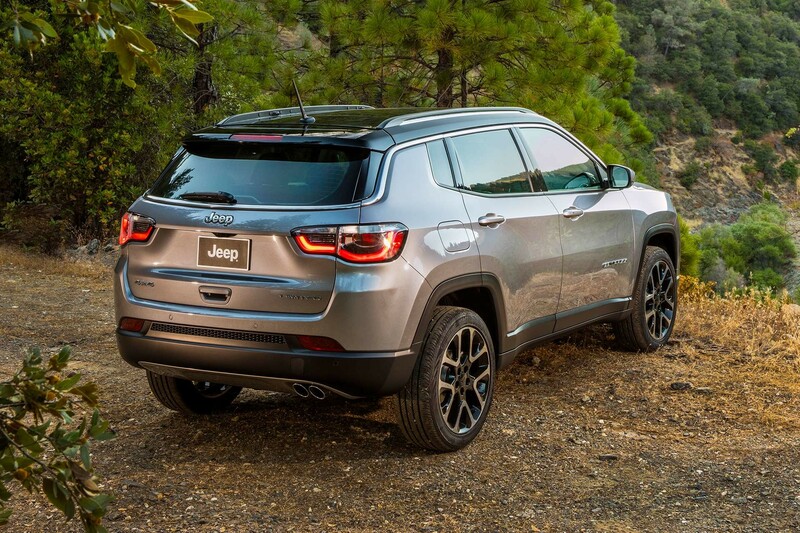 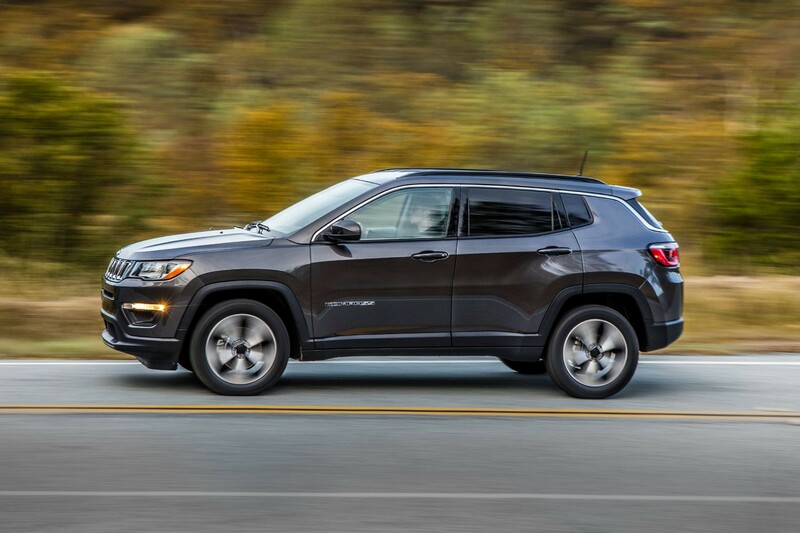 The 2018 Jeep® Compass silhouette is both modern and dramatic. 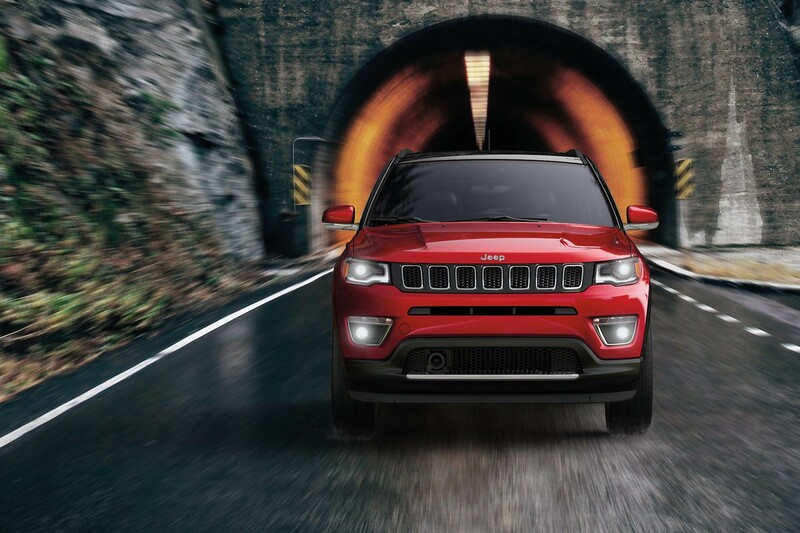 The sloping roofline and powerful fenders create a stunning profile. 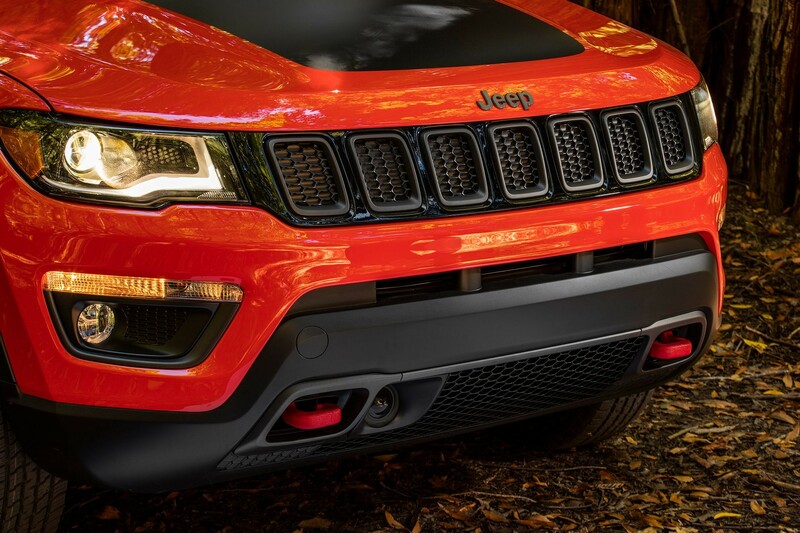 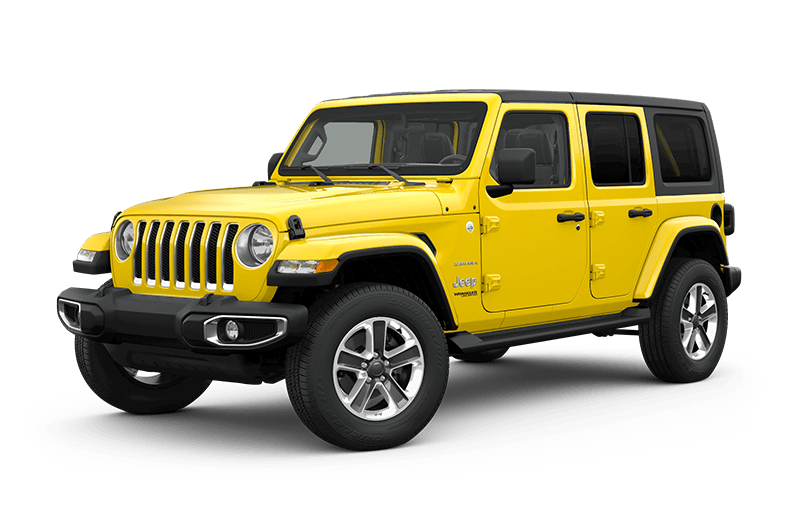 The Trail Rated® Trailhawk® features impressive ground clearance and departure and breakover angles so you can confidently take on the trails. 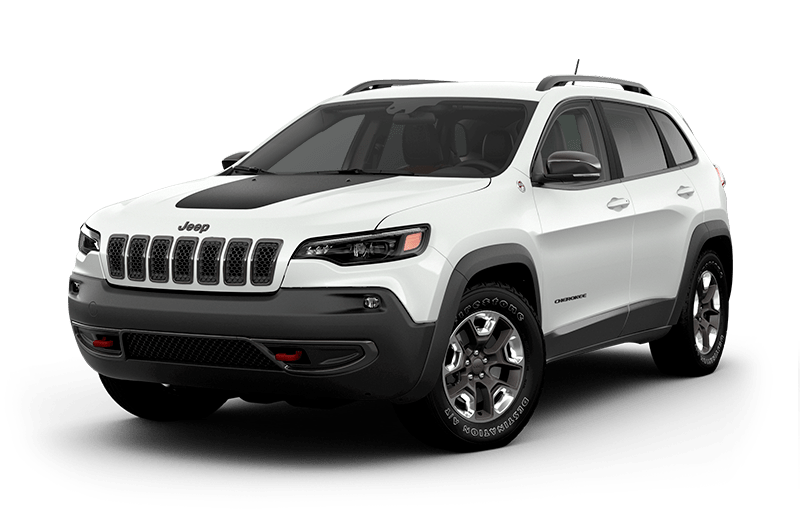 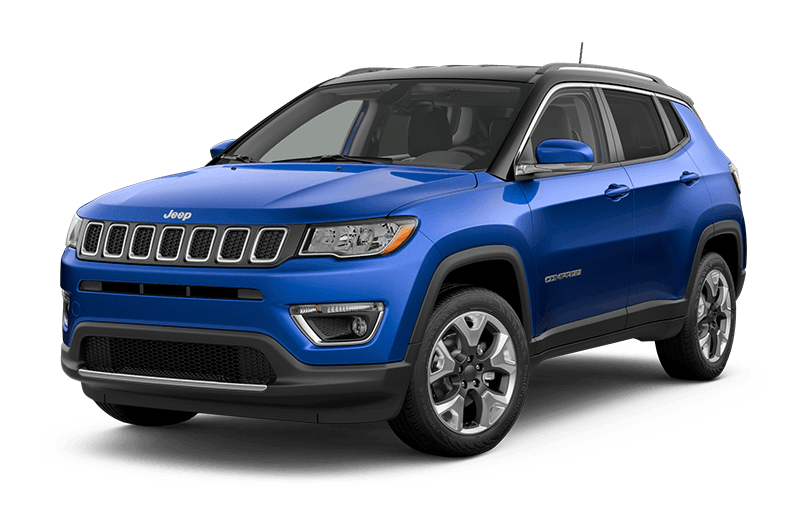 The refined and athletic stance of the 2018 Jeep® Compass stands out on sandy shores and city streets. 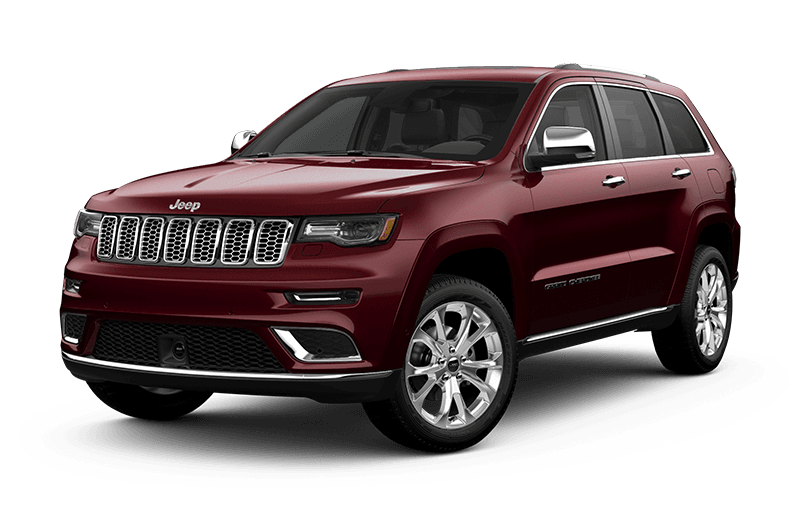 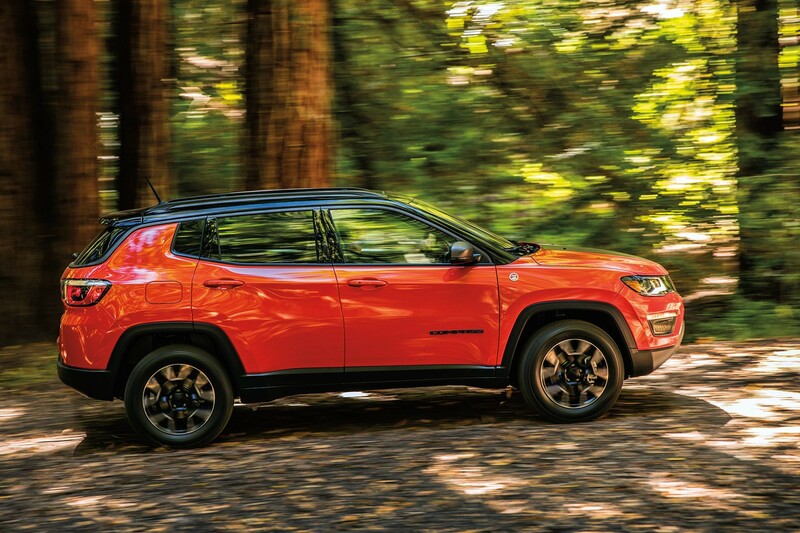 Signature Ruby Red front and rear tow hooks make the 2018 Jeep® Compass Trailhawk® off-road ready. 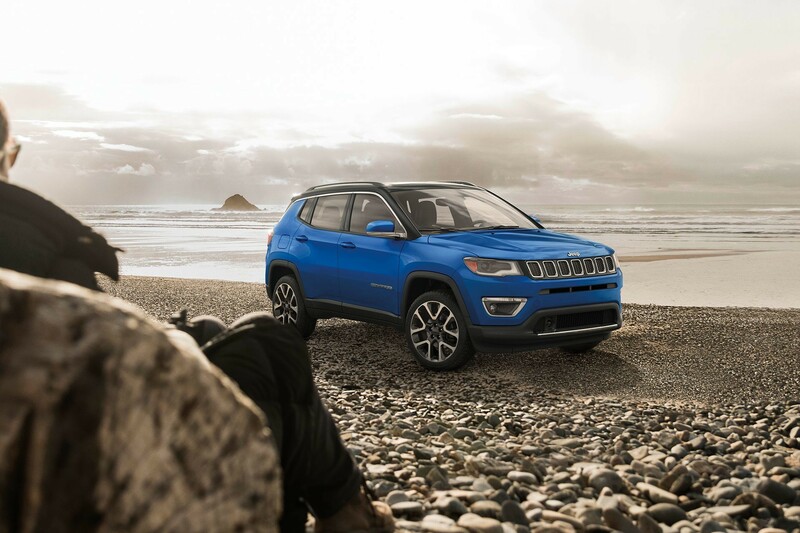 With its contemporary styling, advanced technology and available 4x4 capability, the 2018 Compass is ready for your next adventure - on and off road. 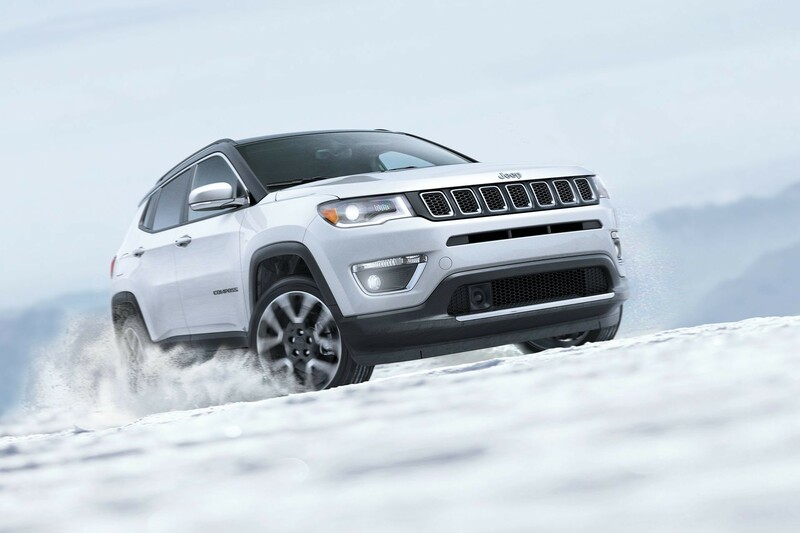 The 2018 Compass 4x4 models offer the Selec-Terrain® Traction Management System with Snow Mode for added traction on icy terrain.